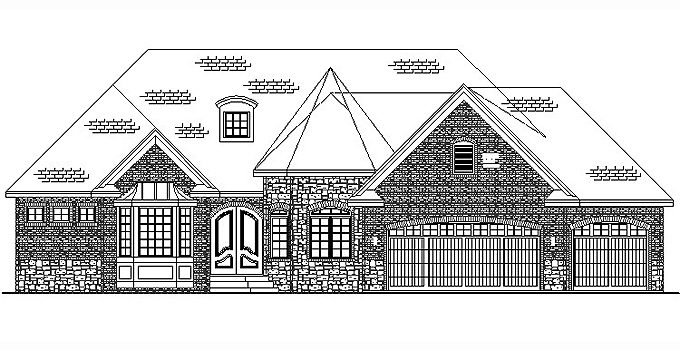 The Front of this Rambler home features stone and brick. An arched double front door compliments entry. A turret and copper top bay windows add charm. 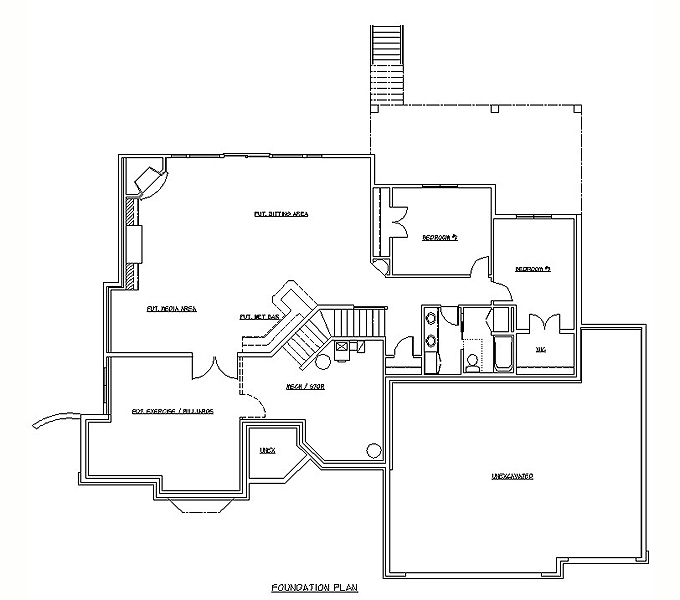 There is a 3 car garage. Main Floor features Great Room with Fireplace and Built-in Entertainment Center and Special Ceiling detail, formal dining, Kitchen with Corner Hearth and Trapezoid Island, Breakfast Area with access to Screened Porch and Large Deck, Walk-in Pantry, Den with Vaulted Ceiling, Main Floor Master Suite with Special Ceiling Detail and Round Vault in Master Bathroom, Extra Large Walk-in Closets, Walk-in Shower Doorless Shower, 2 Vanities, Whirlpool Tub and separate Water Closet, Laundry Room, Mud Room, and Cubies. 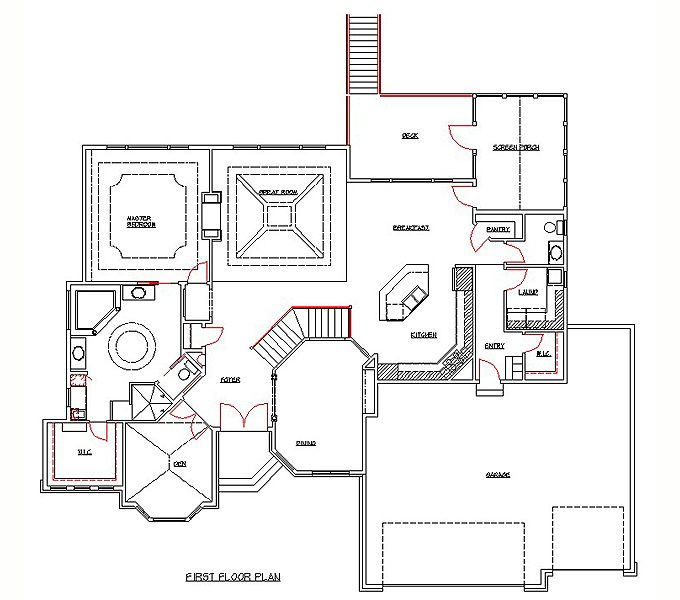 The Lower Level plans for future finish of Media Area, Sitting Area, Wet Bar, Jack and Jill Full Bathroom, 2 More Bedrooms, Mechanical/Storage Room and Exercise Room/Billards Room.